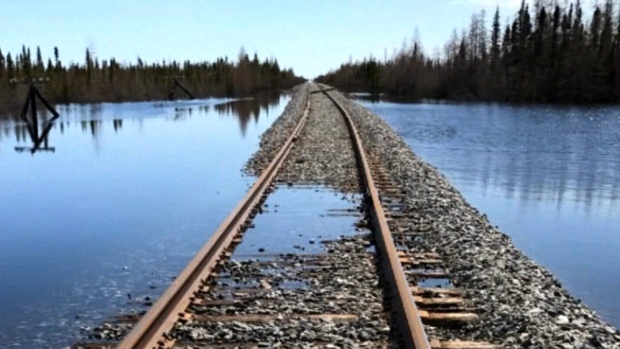 Nearly a year after floodwaters in Manitoba washed out Churchill’s only land link to the south, a deal may finally be coming to restore the Hudson Bay Railroad. Located in northern Manitoba on the shores of Hudson Bay, Churchill is an isolated community of about 900 people that has long been a popular tourism destination for viewing polar bears, beluga whales and the northern lights. 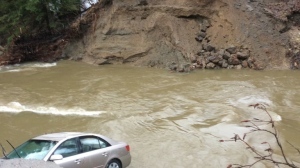 But with the loss of its rail link to Winnipeg last spring, prices on everything from food to building supplies have skyrocketed in the town, which currently can only be reached by air. Omnitrax, the U.S.-based company that owns the heavily-damaged rail line, has repeatedly refused to conduct repairs necessary to get it running again, claiming the work would be too costly. In November, the federal government sued Omnitrax for failing to repair and maintain the rail line. On Thursday it was announced that a consortium of Manitoba First Nations had formed a partnership with a company called iChurchill Inc. and entered into an acquisition agreement to purchase the rail line and the Port of Churchill from Omnitrax. On Friday, however, CTV News learned that Toronto-based Fairfax Financial Holdings and another group of Manitoba First Nations are expected to have a deal in place with Omnitrax within days to acquire the rail line and port. The town of Churchill has been working on the Fairfax bid along with the federal government and two entities that represent First Nations and communities along the rail line: One North and Missinippi Rail LP. But whether iChurchill or Fairfax ultimately purchases the rail line is largely irrelevant to Spence -- he just wants to see it functioning again after what he says has been a “frustrating” and “difficult” year. The damaged Hudson Bay Railroad, which leads to Churchill, Man., is seen in this undated file photo.